Blending citrus flavors from Triple Sec and lemon zest with the spicy bite of fresh cracked pepper, our Black Pepper Biscotti is a savory twist on one of our favorite cookie classics. My family loves it when I prepare homemade biscotti. Whether they dunk it in coffee or eat it with soup like a cracker, there’s just something decadent and delicious about pairing a big crunch with something that warms the soul. Although we all love my Chocolate Pistachio Biscotti, which is rich, packed with cocoa and nuts and perfectly complements a steaming espresso or cappuccino, sometimes I want something a bit different. My Black Pepper Biscotti is lightly sweetened with 10x (confectioner’s sugar) and pairs tangy citrus flavors from lemon zest and Triple Sec with a peppery finish that creates a unique biscotti that is sweet enough for breakfast or dessert and savory enough for any other time of day. Line large baking sheet with parchment paper. Mix first 4 ingredients in medium bowl. Using an electric mixer, beat 1 1/2 cups sugar and butter in large bowl until fluffy. Beat in Triple Sec, lemon peel and vanilla. Beat in eggs 1 at a time. Mix in dry ingredients. Cover and chill just until slightly firm, about 1 hour. Preheat oven to 350°F. Sprinkle confectioner’s sugar on work surface. Divide dough in half. Roll each half on sugar to 11-inch-long, 2 1/2-inch-wide log. Transfer logs to prepared baking sheet, spacing 3 inches apart. Bake until firm to touch, about 40 minutes. Cool slightly. Reduce oven temperature to 325°F. Transfer logs to work surface. Discard parchment paper. Using serrated knife, cut logs into 1/2-inch-wide slices. Arrange slices, cut side down, on baking sheet. Bake until dry, about 20 minutes. Cool on wire racks. 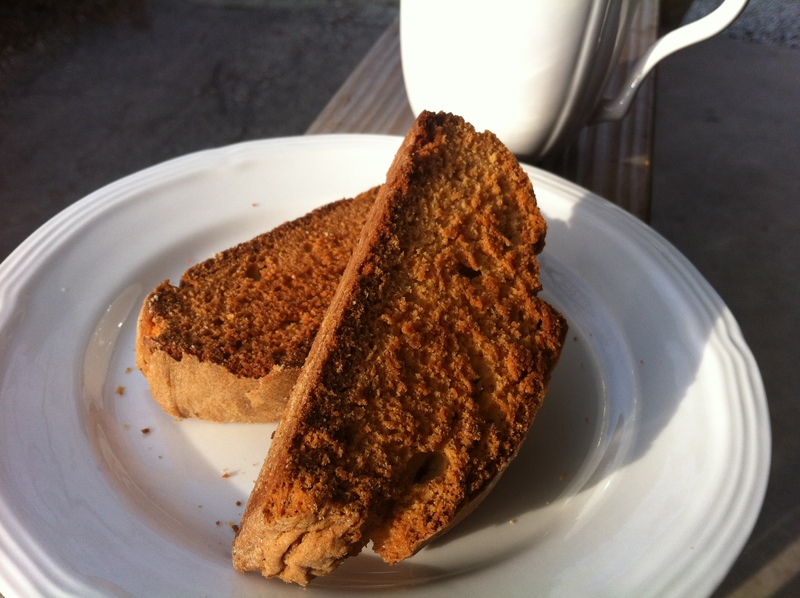 TIPS: Serve biscotti with coffee or a savory soup, as they are great any time of day. These can be prepared 3 days ahead. Store in an airtight container. © 2011 Jadeworks Entertainment. All rights reserved. Heather Fink is a writer, bibliophile and award-winning librarian who loves to introduce the next generation of readers to the wonderful world of books. She currently resides in Texas.